Navigation: Doncaster 1914-18 > K.O.Y.L.I. > Thomas Cooke, from miner to military medal winner. Posted on May 16, 2018 at 10:15 am. Thomas Cooke was born in 1887, one of fourteen children born to George and Mary Anne Cooke. They were originally from Derbyshire but by the time Thomas was born they were living in Greasley, Nottinghamshire. George was a miner and it seems the family moved around the Yorkshire, Nottinghamshire and Derbyshire coalfield in search of work where pits were hiring and paying decent wages. It was a hard life, five of the children died before they grew to adulthood, and the boys followed their father down the mines. By 1911 Thomas was aged 23, single, living with his parents in Langley Mill and working at the mine with his father and younger brothers Walter and Alfred. His other four brothers had left home by this time, and all the family bar one eventually moved to Doncaster. Father got work there as did the brothers, all in the mines, mainly at Bentley Colliery. Sister Clara married a miner and they also moved to Doncaster. 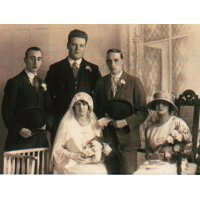 Thomas’ other sister Ellen married in 1895 and in 1923 she and her family emigrated to Australia. 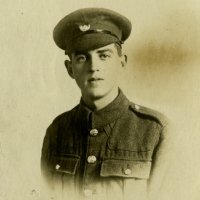 Thomas’ life changed for ever when sometime in 1915, he decided to go and fight for his country. He was living in Bentley and working at the local coal mine when he enlisted in Doncaster, joining the King’s Own Yorkshire Light Infantry (KOYLI). None of his brothers appear to have joined up, though they were all of enlistment age by 1914. When conscription was introduced in 1916 they would have been exempt due to working in the mines and so would not have been called up. How proud his family must have been of him and, given that despite being in the thick of the action and fighting for nearly three years he was still safe, how relieved that he had survived this latest act of bravery. 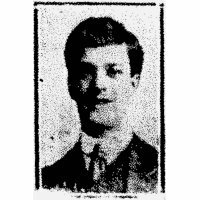 His family must have been hopeful by now that Thomas led a charmed life, and expected him soon to be home, as by August 1918 the war looked to be almost over – as of course three months later it was. However on the 26th August Thomas was killed in action. What a desperately sad ending to the life of a brave son and brother, and what a blow it must have been to his family. Thomas is buried in Bronfray Farm Military Cemetery, Bray-sur-Somme, Picardie, France. The day after Thomas was killed, his nephew was born. He was named Thomas Albert after his uncle and the town near where he was killed. There have now been three generations named Thomas Albert, ensuring that Thomas’ memory lives on in his family.